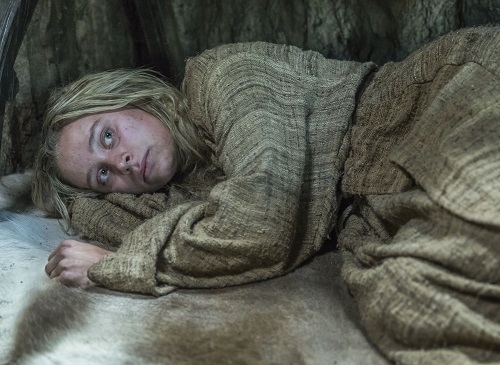 In my last preview I talked about how the title of the episode could be perceived in multiple ways by the different groups in it, but I feel that one of the most important revelations to take note of was Rollo’s. His life has ultimately played out as a cautionary tale to any Viking willing to throw all to the wind in order to gain personal wealth and glory. His seemingly off-the-cuff remark to Harald last week – “I rule over enough cities and land to satisfy the requirements of any man” – rang hollow in many ways. Yes, he has riches, titles and power beyond anything he ever imagined, hell, beyond what his brother could have ever dreamed of, yet what does all that matter when his one’s own history, belief system and family have been swept aside or renounced in order to achieve this stature in society. 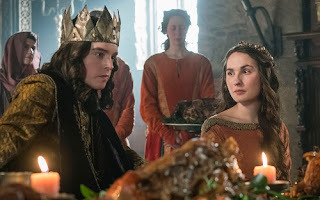 Taking a seat in the Great Hall at Kattegat once again after so many years must have brought home that as the Robert of Normandy, he would never get to feast in Valhalla with Ragnar and the rest of his family he still feels that tie to, and no amount of Christian blessings are going to ultimately change that sense of loss he feels. The fact that he was able to more or less fool both groups he visited otherwise is probably not too surprising, Hirst wouldn’t have much of a story left to tell if the brothers were to figure out what’s best for them after all. For now though, we have the four remaining brothers split into two groups on either side of the North Sea. 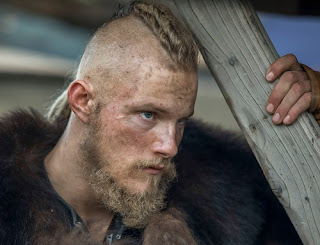 The episode picks up exactly where The Revelation left us last week, with the Saxon’s at the royal villa giving our caged Vikings a not so warm welcome as they are led to a dank cell, where they are left languishing long enough to start wondering if this is where Ragnar was held captive by Ecbert all those years ago, and if their fate will not be so different to his. 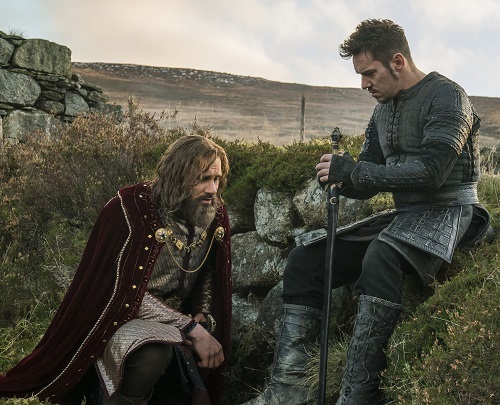 Heahmund, on the other hand, is taken straight to an audience with Alfred, where he learns that he had been assumed dead after the battle in York, but now that people are aware of him fighting with the pagans there is a whiff of suspicion about him. And with Cuthred occupying his old seat at Sherborne, and therefore holding far more political clout than himself at present, he is going to have to tread carefully if he wants to regain his reputation and standing at court. Which he soon learns would be in the best interest of more than just his own sake. 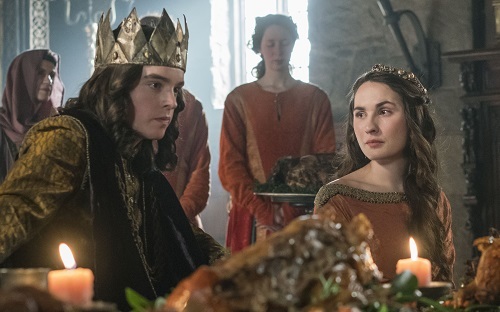 As we saw last week, Alfred has a bold vision when it comes to the future of his kingdom, but there are those who prefer their kings to keep things firmly rooted in tradition and not meddle in other business, like the church, for example. While Judith is hoping that her niece Elsewith (Roisin Murphy) will become a distraction for him, he doesn’t actually let her arrival sway him from what he sees as his mission at hand, leaving her free time to wander the courtyard and catch another’s eye and him to become yet more involved in upsetting that political apple cart which gets the noblemen whispering their doubts in ever more obvious ways. 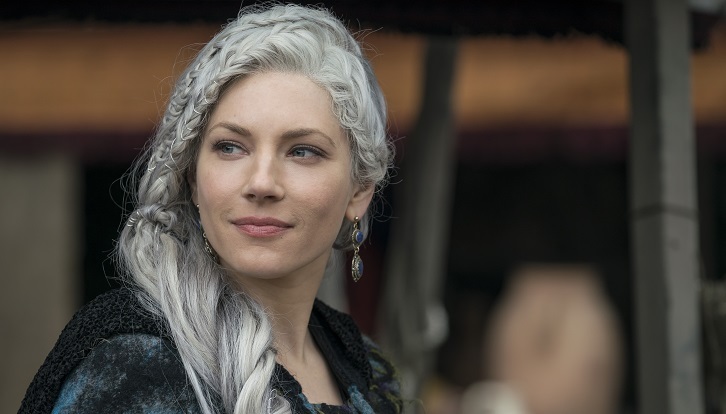 Meanwhile, the other two siblings back in Kattegat are spending time with their gals, Freydis and Margrethe, both of whom are a little crazy if you ask me. Harald is also still hanging around like a bad smell; the loved-up Ivar eventually asking why the miserable, old drunk is taking up space in his hall instead of just heading home. We don’t spend much time in Norway this week, however, and I don’t want to tease too much of what happens here either as I think the promo has shown a great deal of it already. I will just add that I’m not sure everybody will be happy with one of the plot points which starts here in this episode, though I find it fine myself as the character involved can be slightly naive and over estimate their character judgement at times I feel. I just hope that it doesn’t become too much cause of contention in the fan base as it continues on into the rest of the season. Murder Most Foul airs on Wednesday December 5 at 9pm on the History, below are a few teasers to see you through until then. If you want to have a go at guessing who said what to whom, I will fill in any correct answers before it airs. Don’t forget to come back and vote in our poll after the episode and let us know what you thought.